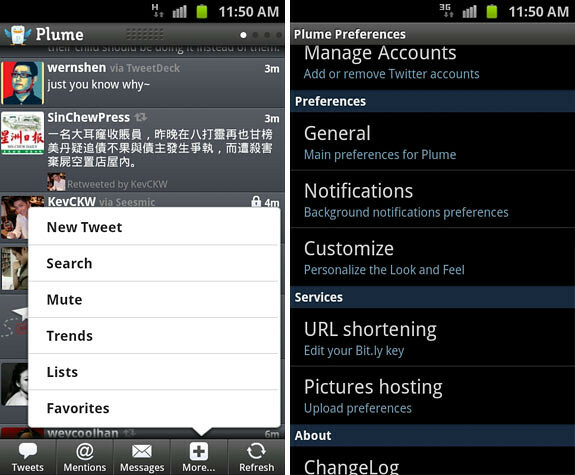 If you are on Android and want a Twitter client which is fully customizable, then you should give Plume a try. The app was formerly known as Touiteur and according to the app description; Plume is a beautiful, highly customizable Twitter client, which will change the way you feel about Twitter! By the authors of the popular Beautiful Widgets! 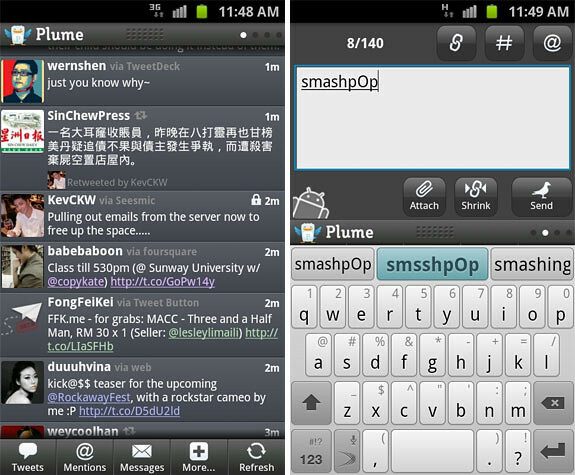 Plume is free (with ads) and if you wanna remove the ads, you can pay about RM8.50 for Plume Premium. One thing I like about Plume is the tweet compose panel which you can pull down from the top just like how you would do to view your notifications from the top Android tray. Here’s the settings screen. The app is so customizable that you can literally set the exact colour and size for the interface. See how my tweets are coloured in blue? Yes. You can change that too. Try it out now. I think the Free version is good enough for casual usage. One Response to "Plume For Android. 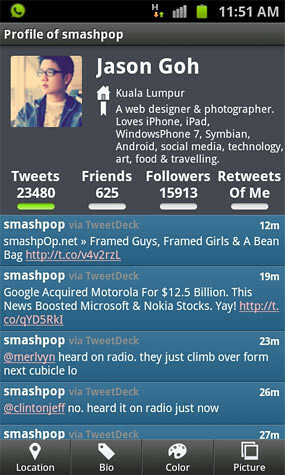 A Highly Customizable Twitter Client"
It’s my favorite Twitter client, too! Very underrated.